Zack is a USPTA Certified Professional. He was born in Akron, Ohio. Zack grew up in Barberton, Ohio where he played four years of tennis at Barberton High School. Zack was voted team captain and MVP by his teammates and received All-Conference Honors during his high school tennis career. Going on to play tennis for Heidelberg University, Zack played four years of singles and doubles at the top of the Heidelberg line-up. During his four year career he received several All-Conference Honors and was voted team MVP his last year. To finish his senior year, Zack earned his degree in sports management and business. He was also recognized as one of the top five winningest players in Heidelberg history. Zack continued to pursue his passion for tennis. He was Head Tennis Professional at the Chillicothe Fitness and Racquet club for two years. It was there where his love to play and teach the game has grown the most. He has been coach to many different types of players, varying from high ranking juniors to beginning adult In addition to his coaching, Zack was also responsible for organizing several leagues for adults to compete in. 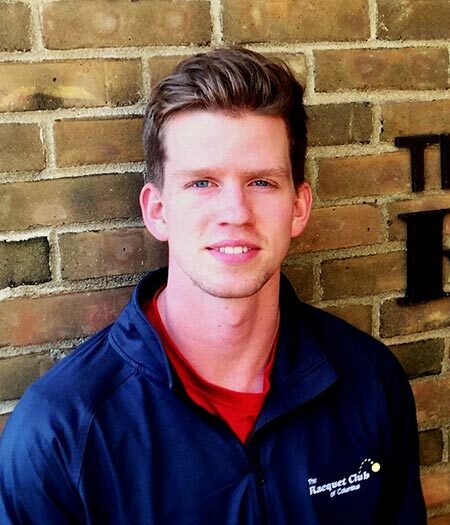 Now, Zack is excited to join the staff at RCC and along with his coaching in the competitive junior program. He runs a program for beginning adult players, as well as a program for children that are homeschooled.